Manufacturer & Supplier of Biodigester Tank. Our product range also comprises of Drinking Water System, Fluoride Removal Unit and Iron and Arsenic Removal Unit. 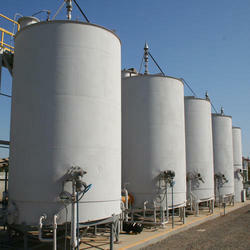 We are one of the leading manufacturers and suppliers of Biodigester Tank. The offered bio-digester tank is specially designed for the anaerobic breakdown of sewage waste. Our supplied bio-digester tank is very widely used for both the domestic and commercial applications. The offered bio-digester tank is highly acclaimed and liked for treating sewage sludge. Looking for Biodigester Tank ?